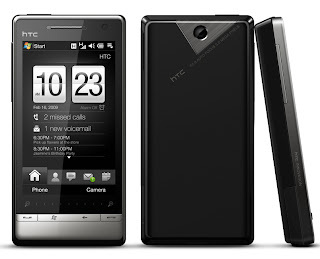 HTC Corporation, a global designer of mobile phones, today unveiled its new flagship device, the HTC Touch Diamond2. The device integrates innovation and simplicity with a unique style and an intuitive interface. HTC Touch Diamond2 perfectly balances function, form factor and cutting-edge technology to personalize communication and mobile Internet experience. "The HTC Touch Diamond2 ushers in a mobile communication experience that simplifies how we communicate with people in our lives whether through voice, text or email,” said Ajay Sharma, Country Head, HTC India. “At HTC, our endeavour has always been to deliver the latest, cutting-edge sophistication in our portfolio of mobile phones that seeks to improve how people live, work and communicate, and the HTC Touch Diamond2 is the extension of the same conviction of ours." Continuing on its commitment to make the mobile Internet easier and more enjoyable, HTC is proud to introduce Push Internet technology with the HTC Touch Diamond2. HTC Push Internet alleviates slow downloading and rendering of Web pages on a mobile phone. Users can preselect their favourite Websites to get immediate access to them when needed. With the HTC Touch Diamond2, HTC is introducing a new people-centric communication approach, providing a single contact view that displays the individual conversation history of contacts regardless of whether voice, text or email were used. This can be viewed from the contact card or the in-call screen during a phone conversation, ensuring the latest communication contact-by-contact is always at hand. The HTC Touch Diamond2 incorporates HTC’s latest TouchFLO 3D interface. TouchFLO 3D has been more deeply integrated into a customized version of Windows Mobile 6.1 to deliver more consistency throughout Windows Mobile applications and menus. Focused on making navigation easier and more intuitive, TouchFLO 3D brings important information to the top-level user interface, including quick access to people, messaging, email, photos, music and weather. As part of this improved Windows Mobile integration the touch focus areas have been enlarged to be more finger-touch friendly. The HTC Touch Diamond2 is the next step in the evolution of the successful HTC Touch Diamond. Crafted to fit perfectly into the hand, the Touch Diamond2 evolves the compact design and iconic style of the original HTC Touch Diamond. It incorporates a larger 3.2-inch high-resolution wide-screen VGA display for a greater viewing area in a design just 13.7mm thick. The phone also includes a new touch sensitive zoom bar for even faster zooming of Web pages, emails, text messages, photos or documents. Leveraging HTC’s TouchFLO 3D experience combined with a people-centric communication approach and HTC’s new Push Internet technology, the Touch Diamond2 offers an advanced touch experience that is optimized for one-hand use. With a five mega-pixel auto focus camera, expandable memory, gravity sensor and an ambient light sensor, the Touch Diamond2 brings the most sophisticated capabilities to a broad consumer audience looking for the professional benefits of a smartphone without sacrificing size, looks or functionality. The new HTC Touch Diamond2 will be available at a Market Operating Price of Rs. 29,990/- at all leading HTC Authorized Resellers across the country.